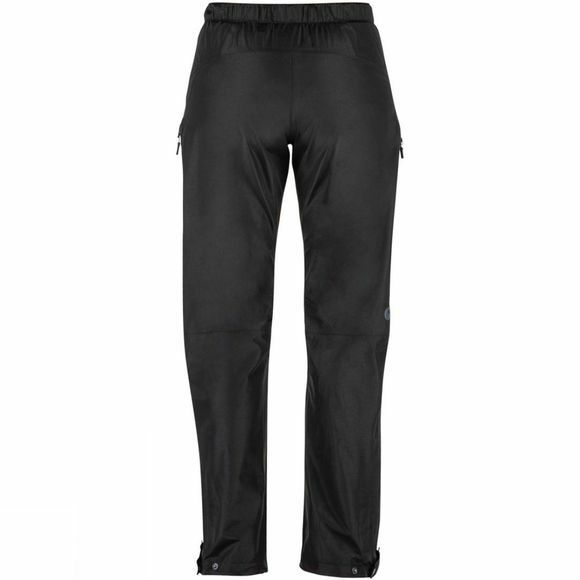 Waterproof technology at its finest, the Womens Eclipse Pants from Marmot obscures the old and ushers in the new with Marmot's rainwear technology, EVODry, which reduces environmental impact without compromising functionality. The technology utilizes Upcycled products, PFC-free fabric, laminations and trims, and eco-friendly water repellency treatment. What's more, EVODry delivers waterproof protection that doesn't need reapplication. 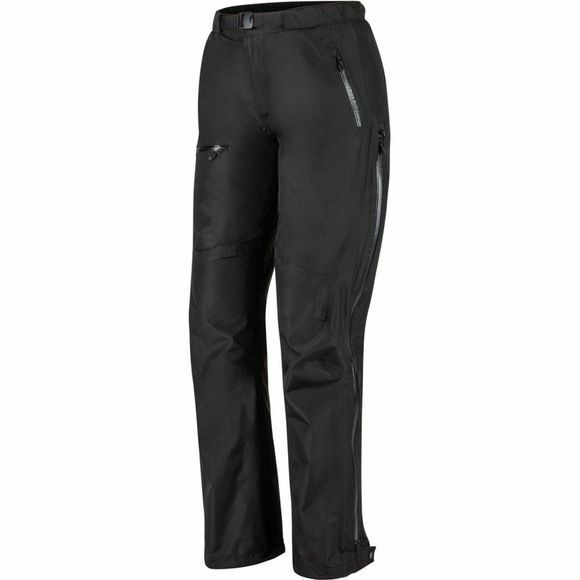 Additional boast-worthy features on this pant include 100 percent taped seams, articulated knees, and PFC-free ¾ length side zippers and hand pocket zippers.